Woman And Home Competitions | Prize Draw - Win a Casdon Bundle worth £50! 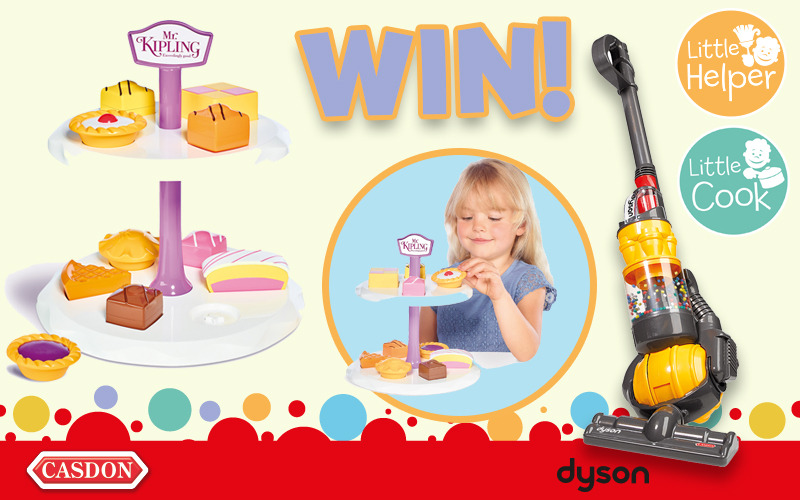 We have 10 bundles of Casdon toys to giveaway that contain a Mr Kipling Afternoon Tea Set & Dyson Ball Vacuum Cleaner! Everyone adores Mr Kipling's cakes! This exceedingly super cute Mr Kipling Tea Set and Cake Stand is perfect for your little one to host a tea party! Each replica Mr Kipling cake has been carefully selected; why not try the Battenberg, Cherry Bakewell, Angel Slice, Jam Tart or the French Fancies. Each cake has a shape on the bottom that corresponds with the two tiered cake stand; this is great for teaching your child shapes it is also brilliant for your child's development. The two tiered cake stand is easy to assemble, and can be easily wiped clean. The Dyson Ball upright vacuum cleaner has been specially designed to be true to life, right down to the last detail so your little helper will really feel part of your world while developing essential life skills.